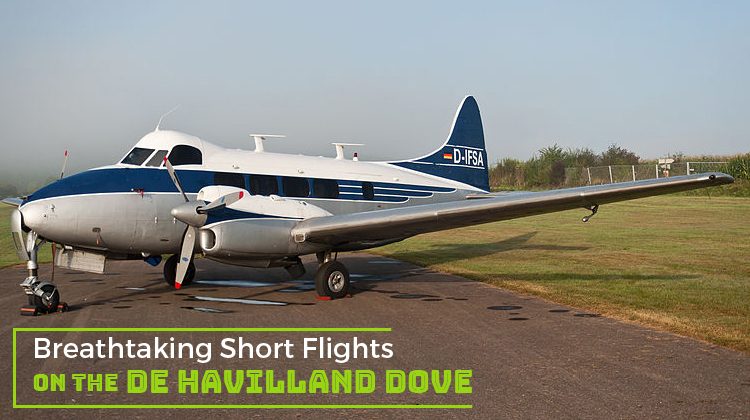 If you’re a fan of flight who’d like to take a breather and glide along the skies, a private charter on the De Havilland Dove would be ideal. This legendary aircraft was primarily used by the British Royal Air Force (RAF). Today, it’s known to be among the most reliable planes used for various applications. This aircraft has the steady paces and height which are ideal for short range flights. Be mesmerized by the landscapes, tiny towns, cities and mountains you’ll be flying over. If you’re coming from Toronto, Canada, the farthest you can reach on this plane would be Newfoundland and Labrador, Texas, USA or Colorado, USA. To make the most of your private charter on the De Havilland Dove, it would also be advisable to ask of its exact facilities from the operator. Know more about this aircraft’s specifications and book for your very own, private flight today. The De Havilland Dove has the practical and no-fuss facilities to ensure you’ll have a pleasant hour-long flight. It has wide windows which let the sun in, so you can have a bright cabin throughout your flights in the day. The chairs are also comfy enough for you to lean back and just observe the beauty of aerial sceneries you’ll be flying by. One of the standard features which this aircraft has would be a WiFi connection. With internet access, you’ll get to still stay in touch with your friends, family and professional networks even while in flight. If you’re flying on a business trip, you can use the same internet connection to send instant messages to your company’s team members. You can also update the statuses of your ventures via an online based, project management app. To make the most of your upcoming flight, it’s always best to ask of your aircraft’s list of standard facilities with your operator. This aircraft’s performance features have the practical combination for sightseeing and quick trips. It has a decent speed, since upon take off it can reach its maximum altitude within less than 20 minutes. Will you also happen to max out the flying range of this aircraft? Then it’s safe to inquire about its allowable passenger count and baggage weight with your operator. Generally, a lighter aircraft can fly to much farther distances within faster paces. 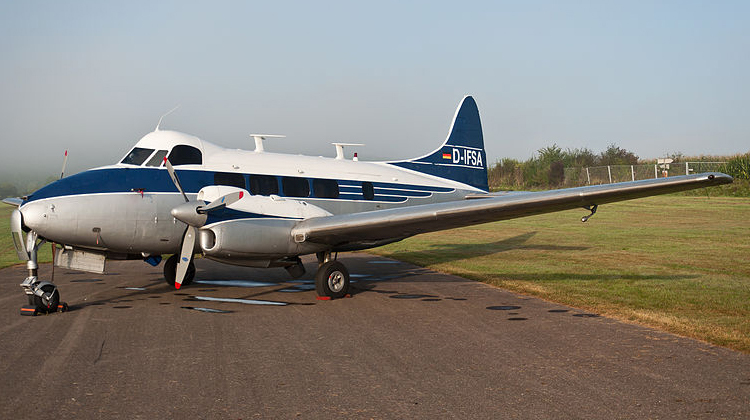 Before the De Havilland Aircraft Company Limited has been incorporated with Hawker Siddeley, the company first flew the De Havilland Dove in 1945. It currently has over 540 units being flown all over the world, with roughly 18 variants which functioned for different applications. It has countless civil and military operators coming from countries such as Australia, Belgium, South Africa, Sudan, United Kingdom, Argentina and Japan.